Pleasant width and an easy-to-wear length are characteristic to this ISCHIKO pullover with its attractively flared A-shape. 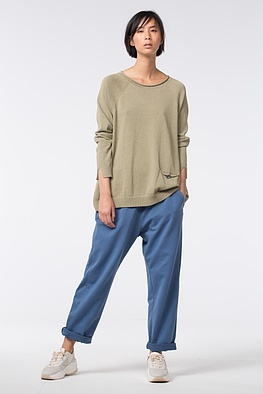 Rolled edges on the neckline and small pocket with button are a playful detail. 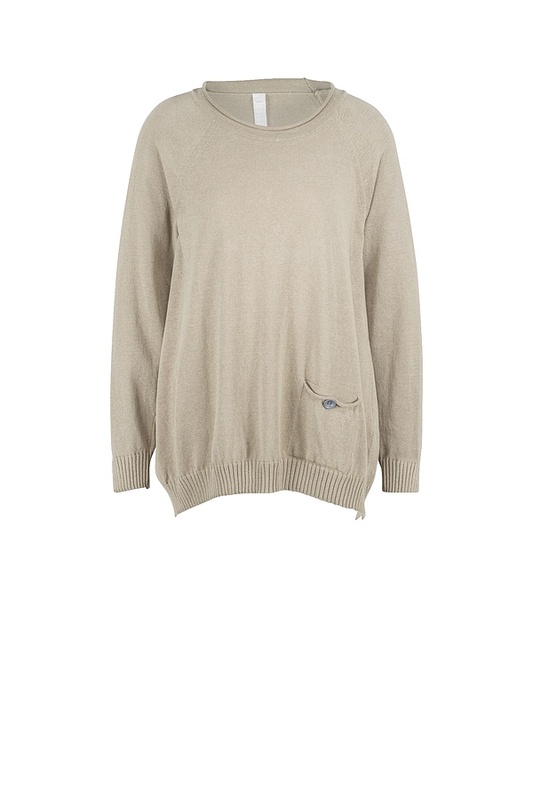 Small slits are on the ribbed knitwear at the waist and sleeve cuffs.